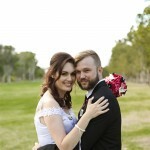 Sheri & Dean were married last week on a beautiful property just north of Gympie. 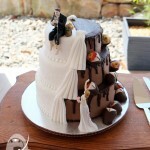 With so much able to be organised via phone or email, I don’t always get to meet my couples in person these days. 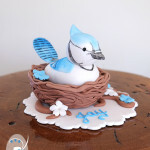 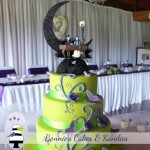 So, you can imagine how lovely it was for me to actually meet Sheri on the day and see her reaction to the cake! 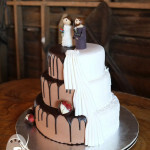 They chose a full slab black forest cake with chocolate pieces around the outside, and alternating chocolate balls and cherries for the borders. 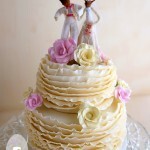 The top of the cake was decorated with chocolate shavings, and a spray of white Singapore and pink-mauve Cooktown orchids. 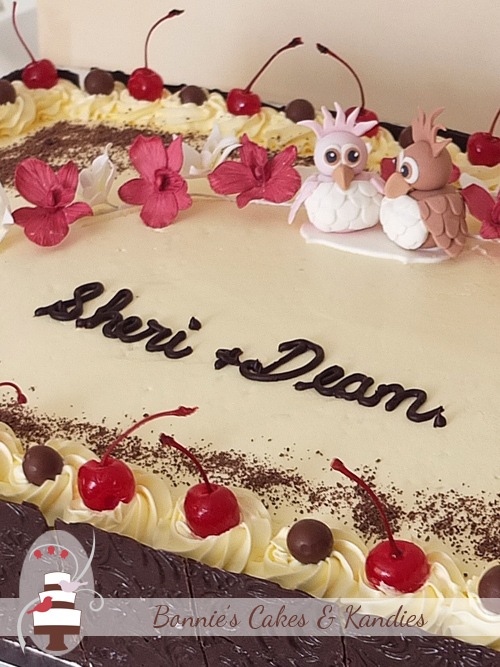 ‘Sheri & Dean’ was piped in chocolate and as a final touch; two small, edible owls were placed in the middle of the floral spray. 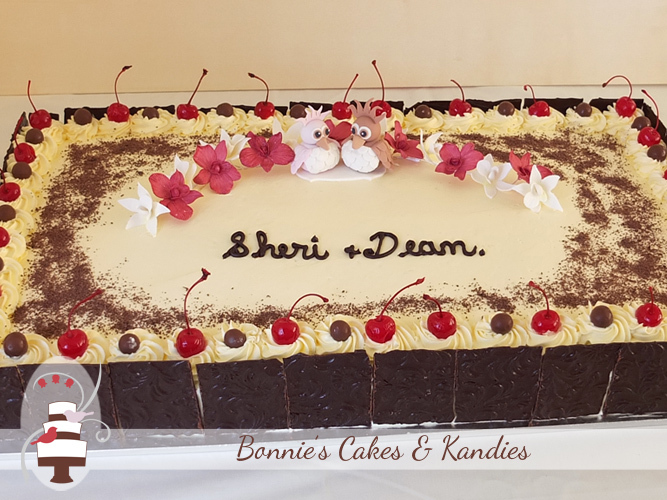 Congratulations Sheri & Dean – I hope you had a wonderful wedding day, and thanks for choosing Bonnie’s Cakes & Kandies to make your beautiful, black forest wedding cake!